When I was in Pontarlier for the 2006 Absinthiades I had the pleasure of getting a bottle of the brand new (ok, it's been aged for six months prior to release...) L'Artisanale. 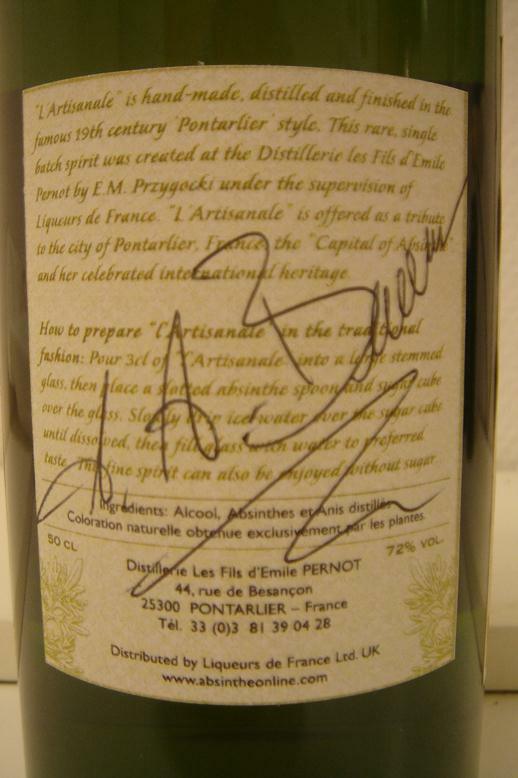 Made by american Eric under the supervision of and in co-operation with Liqueurs de France at the Distillerie Les Fils d'Emile Pernot in Pontarlier, France. 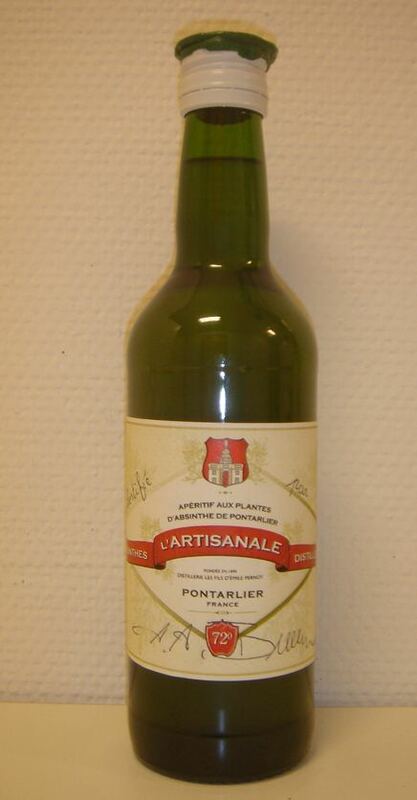 Made to be a traditional Pontarlier style absinthe and to be the first true high quality absinthe distilled again in Pontarlier after almost 100 years of nothing. To tell the truth, they did quite well. 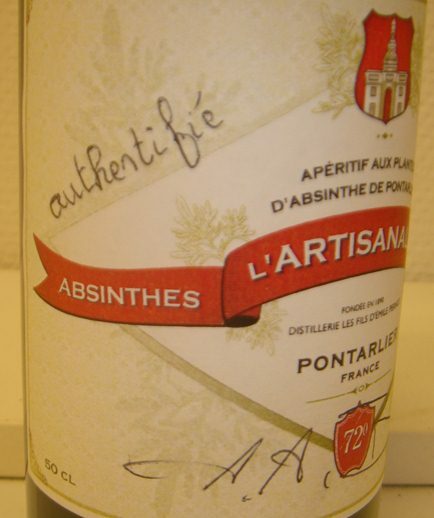 The L'Artisanale is a very good quality absinthe with excellent herbal qualities and a wonderful floral yet spicy aroma. It's a greenish olive tint unlouched but turns to a nice opaque green after adding iced water. 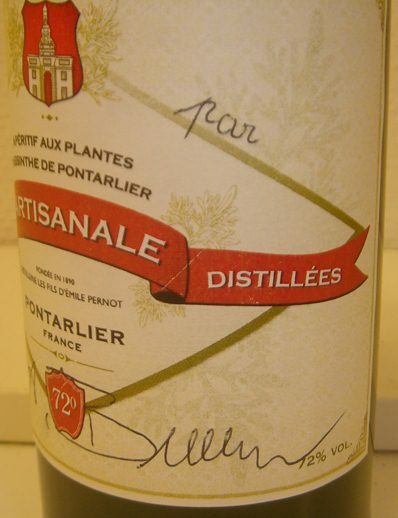 There is a nice wormwood character to it with hints of Pontica and Fennel lingering and blending well with the anise. When adding water to it it blends nicely and lends a pleasant fragrance to enjoy while drinking. The one and only "negative" thing I have to say really isn't all that negative... 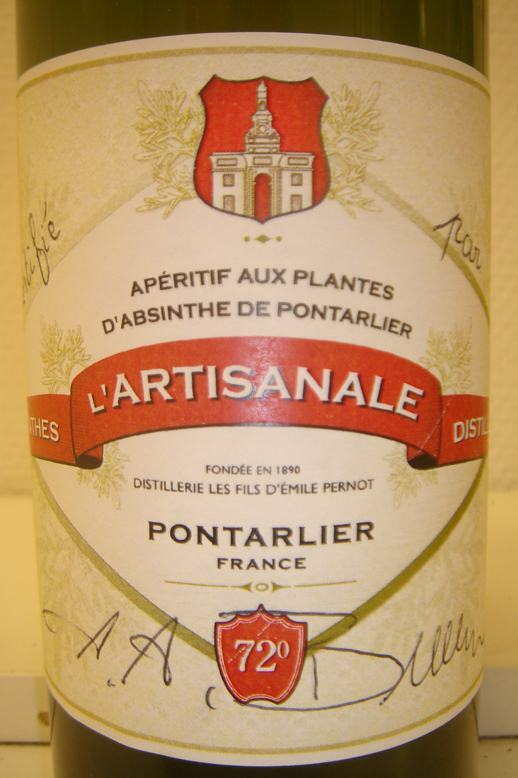 I personally think the L'Artisanale give too little of a "surprise" but then again, it's a well carried out Pontarlier style absinthe and there is little surprise to expect from that. It tastes like absinthe. It's very well made though and I definitely like it. If you want one you should probably hurry up and get one as soon as they start selling them (they have not yet been publicly released when this is written, in the end of October 2006) since there will only be about 170 or so bottles for sale and no one knows if it will ever be made again. Where to get it? Well, obviously from Liqueurs de France.